I've always been a fan of monogram necklaces and this one from ONecklace.com has definitely become one of my favorite accessories as of late. Especially since I'm on a delicate necklace kick and have been opting for dainty, tiny pieces of jewelry. This one fits right in because it's the perfect size/weight and goes with everything from work outfits to the cozy t-shirts I can't get enough of. And the best part? It's super affordable! I'd definitely suggest checking them out if you're in the market for some super cute, won't-break-the-bank personalized pieces. On another note, don't you love what you rediscover when cleaning out your closet? I had totally forgotten about these leopard shorts until my wardrobe overhaul the other day. (You should really check out my Poshmark closet, b-t-dubs. My closet purge is your gain, friends!) They're the perfect transitional item and I'm so glad they were saved from the depths of my dresser -- it's a scary place! I've always loved monogram necklaces and I've never made the commitment to one. I think that needs to get rectified sooner rather than later! And, well done on saving those shorts. They're the perfect amount of leopard. LOVE those leopard shorts! I've been shopping my closet more lately too and trying to wear things from last year...it's amazing the things I forgot I owned! 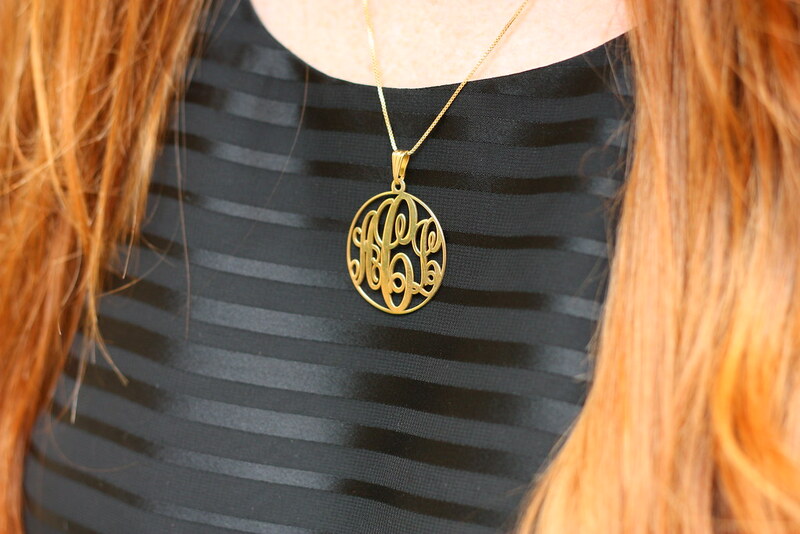 I LOVE monogram necklaces and this outfit is incredible! This is, by far, one of my favorites outfits I have seen lately. I don't know what is is exactly, but I love the leopard and the subtle stripes and the gold-- ahh, so great! Great rediscovery on the shorts! I love the simplistic take on this outfit! Love love those leopard shorts. They are too cute! This whole look is fabulous. And I am also quite the fan of monogram necklaces (really anything monogrammed). LOVE this outfit from head to toe (well especially toe, those shoes are killer). 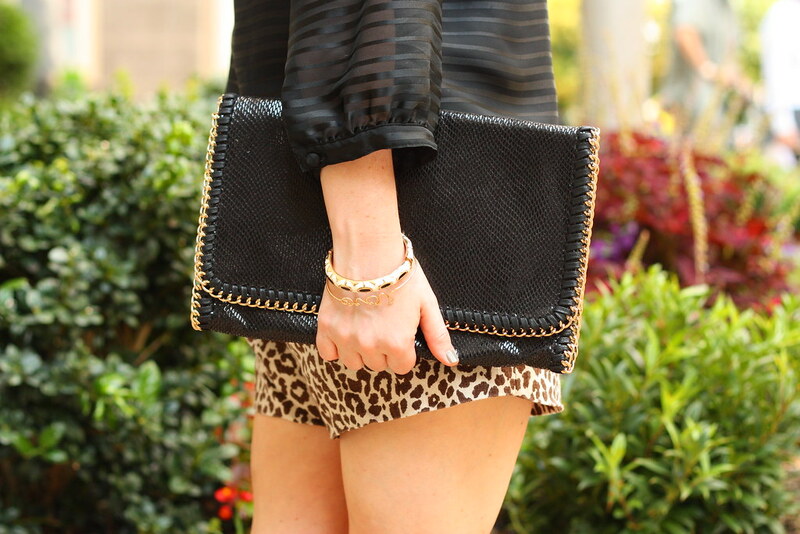 Nothing I love more than leopard and black paired together. PS, are those shoes comfy??!? I once had a pair but could only sit in them. You look amazing, I love this whole outfit! The leopard shorts are adorable and I love the top! Your hair just takes this all to a whole new level though, total rockstar! I love it! Haha I just wore these shorts yesterday, too! Love how you dressed them up! And that necklace is so gorgeous. LOVE this look... leopard anything always wins me over!